The productivity and effectiveness archives in Takis Athanassiou Blog. Here there are all the related posts and articles in this category. The reality is that success doesn’t typically land in your lap or happen overnight. It takes hard work, dedication and a passion for whatever it is you’re doing to get ahead. The upside is that you too can become a successful entrepreneur if you’re willing to put forth an extra effort and commit to practicing a few different daily habits. This article has been written by Ashley Lipman. Ashley is a content marketing specialist and an award-winning writer who discovered her passion for providing creative solutions for building brands online. Since her first high school award in Creative Writing, she continues to deliver awesome content through various niches. Everybody needs some boost up at his/her work. Like some productivity tips can help him/her to become more effective and bring the required results. If you want to be productive this year, you have to take a proactive approach which is forward-thinking. The first day of a new job is always a memorable experience. Most often, the new employee is nervous about everything from how they look to whether they will fit in with the team. 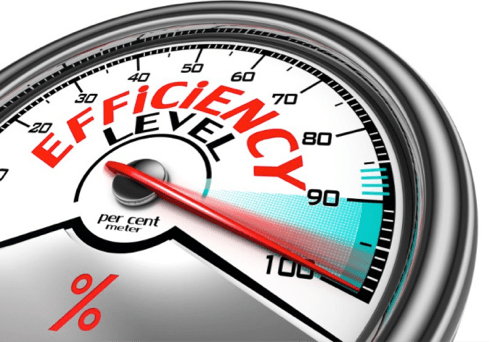 In all business, efficiency is important, but in the world of small business, the losses caused by inefficient processes are felt even more.